The Copystar/Kyocera brand is excelling at ensuring businesses all over the world have high-quality and reliable printers that will last for years. These devices are well-known for the wide range of features they offer. These powerhouses are more affordable than you might think considering how advanced and heavy duty they are. Printing is even easier and less of a hassle when you combine the machine with the Copystar/Kyocera printing applications. The combined ecosystem allows the two to work together seamlessly for maximum productivity. 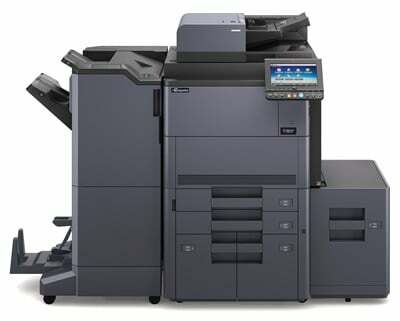 We have authorization from Copystar/Kyocera to sell their well-crafted and high-performance printers. Our sales team is well-versed in the systems and vocabulary to help you find the right model to suit your business’s printing needs. We will evaluate your organization’s size, printing functions, and volume of documents printed and guide you towards the perfect model for your circumstances. We don’t anticipate that you will experience and problems with your printer due to their excellent reputation and reliability, but things can go wrong with any piece of equipment or machinery. While looking for Copystar Kyocera printer sales Atlanta has to offer, know that we also offer service packages to cover service and maintenance if the need arises. The contracts that we offer to customers includes repair and service right at your job site, eliminating the need to bring the printer back to fix it. More importantly, your employees don’t have to suffer from lack of productivity due to broken down equipment at the most inconvenient time. We don’t limit ourselves to one option for parts and supplies because we take care of mail-order and local support for customers with their Copystar/Kyocera printers. We offer a much more economical option than replacing your printer. Our service charges are affordable and competitive to help ensure that you can afford the initial purchase of your printer along with required maintenance or repair expenses. Parts and labor are not included in the service plan and must be calculated on an individual basis for each repair.